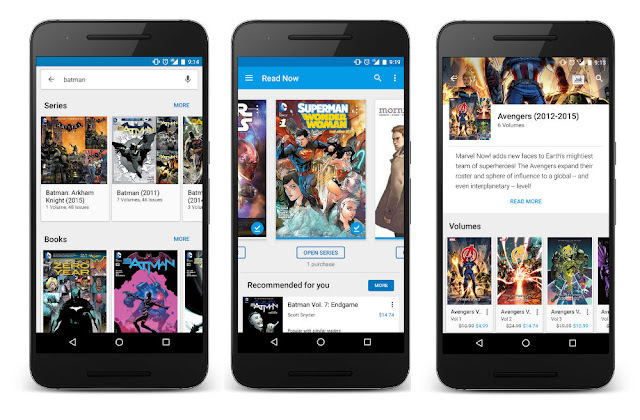 Google updated their app Play Books, the new thing in this is the enjoyers of comic books will find a new way to enjoy their reading on mobile devices. When you are reading an comic book through the Play Books app, you can turn your device to the side, allowing you to view comics and read them with vertical scrolls. It should bring an easier way to digest each cell individually, instead of cramped on a single page. Update : If you want to sideload the update via apk, you can do that now by clicking on the APKMirror link at the end.